In the late 1920s, the German army decided that the optimal choice for their future armored force was a medium tank (15 to 20 tons) with a five-man crew. They felt that smaller light tanks were too limited in the armament they could carry, crew size, and armor protection. Unfortunately, the industrial infrastructure of the country was incapable of producing the requisite number of medium tanks at that time. A compromise position was taken at the highest levels of the German army. As an interim measure, the German army planned for a fleet of small light training tanks. The ordnance department of the German army issued a requirement in 1932 for the design of a simple and inexpensive vehicle weighing about 5 tons. Krupp, Henschel, Daimler-Benz, Maschi-nenfabrik Augsburg-Nurnberg (MAN), and other German industrial firms submitted design proposals for the army's evaluation. Krupp's light tank design was chosen by the German army (see also the Red Army), but Henschel won the manufacturing contract. As the prime contractor and system integrator, Henschel was responsible for coordinating a variety of suppliers for the components needed to assemble the vehicle. The company began testing prototypes (hand-tooled examples of a final product) in early 1934. Low-rate production of the new Pz.Kpfw. Ausfuehrung A light tank began in July 1934. The designation Pz.Kpfw is an abbreviation for Panzerkampfwagen, which translates into English as an armored fighting vehicle (AFV), or tank. 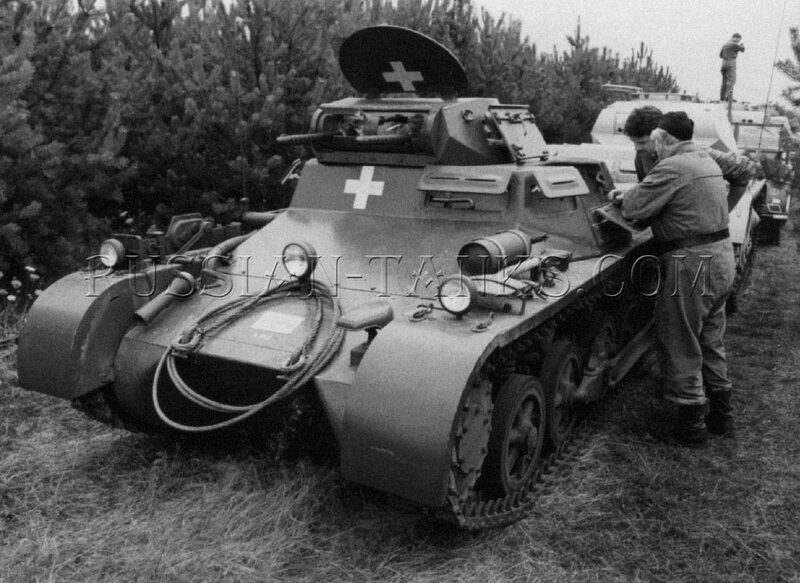 The designation Pz.Kpfw. was always followed by a Roman numeral to indicate the basic configuration, or type. Within the German army the term Panzerkampfwagen was commonly shortened to Panzer or just the letters Pz. The term Ausfuehrung shortened to Ausf. and followed by a capital letter indicates the version of a tank referred to in conversation or in written reports. Model differences between tanks in the same series can reflect changes in performance, standard equipment, production techniques, or improvements based on field experience. These differences can reflect both internal and external changes to a particular production run of a vehicle. Not all versions of a particular tank reach full-scale production owing to unavailability of critical materials, failure to meet required performance, high cost, or changes in military tactics. During World War II the Germans rebuild worn out or damaged tanks with components from different production runs of the same vehicle. This can make positive identification of a German tank very difficult at times. The British army (and later, the American army) substituted the designation Mark or Mk. for Panzerkampfwagen, using the German's Roman numeral designation to identify the different types of German tanks. This form of identification is commonly found in English language publications on the subject. 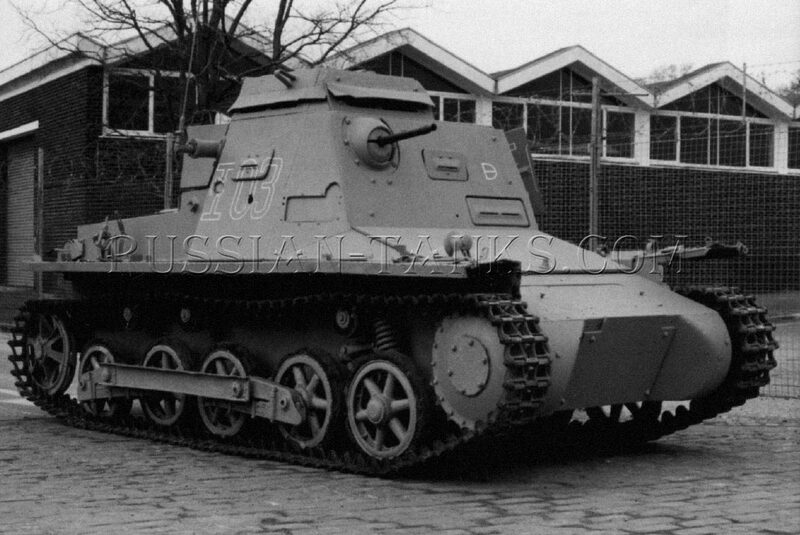 The 818 Panzer 1 Ausf A tanks built between July 1934 and June 1936 were 13 feet 3 inches long, 6 feet 9 inches wide, and only 5 feet 8 inches tall. 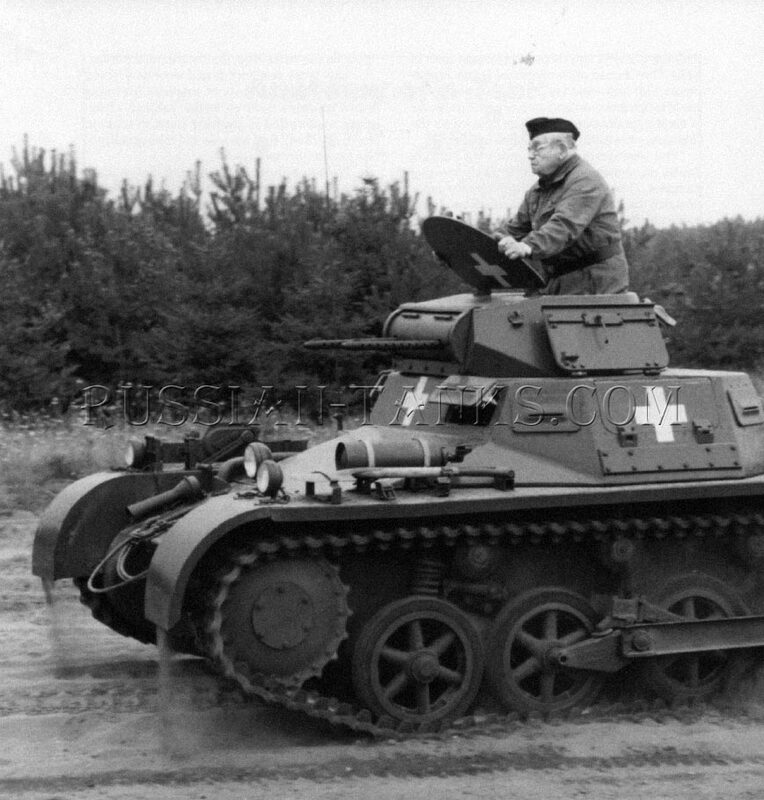 Reflecting its design origins as an interim light tank, the Panzer (corps) 1 Ausf. A had only 13 millimeters of steel armor protection. This armor protected the two-man crew (driver and vehicle commander) from small-arms fire only. The crew communicated with each other through a voice tube. 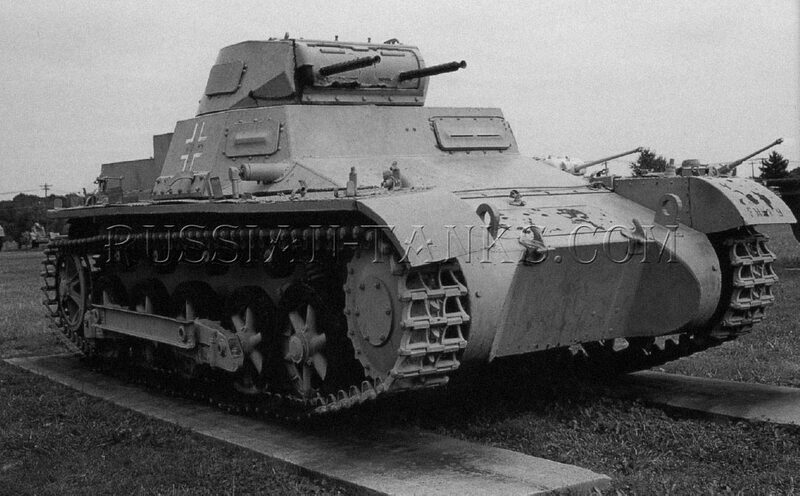 Armament on the Panzer 1 Ausf A consisted of two 7.92-mm machine guns. The vehicle carried a maximum of 1,525 rounds. The side-by-side machine guns were mounted in a small hand-operated rotating turret. The vehicle commander acted as the gunner and sat on a seat suspended from the turret that rotated with the turret as it turned. 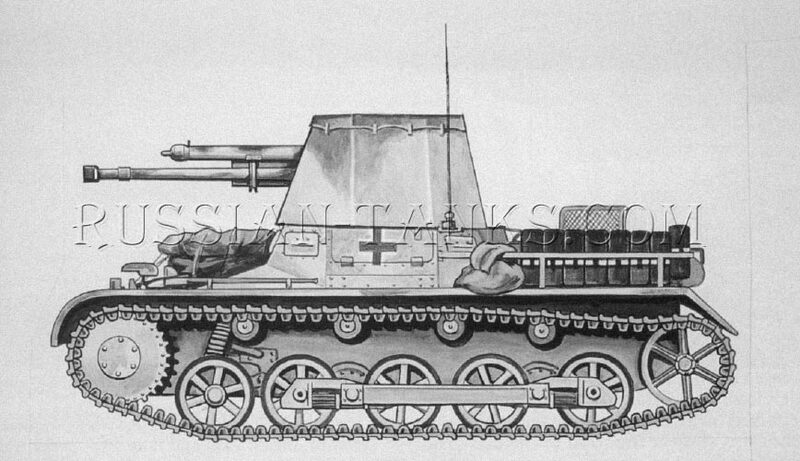 The suspension system on the proposed Krupp design was copied from a small British light tank known as the Carden Lloyd Mark VI. This field proven suspension concept was a major reason Krupp won the design competition. The German military knew that it would minimize the potential performance and schedule risks of developing a vehicle-specific suspension system.